Preservatives are imperative ingredients for any cosmetic with water. Lotions made from scratch are the most popular application, but they are also used in scrubs, shaving creams, and facial spritzes. 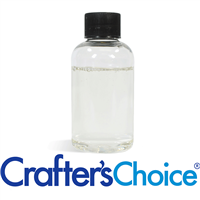 Any product with the possibility of water contamination needs a preservative to keep the product safe, and prevent mold, bacteria, and yeast growth. Phenonip is a preservative that is intended to prevent bacteria, mold and fungal growth in your handmade products. Insoluble in Water. Most commonly used in salt and sugar scrubs as well as lotion bars. Formerly known as Optiphen Plus. Ashland Chemical is the manufacturer and owner of the trademark Optiphen Plus. We have received legal notice that small suppliers may no longer use the brand name of the product. Therefore on 11/20/2017 we have changed the product name as they have requested. Use this paraben free preservative in lotion, body wash, shampoo, conditioner scrubs and sprays.Effective at pH levels below 6.0. Highly effective broad spectrum antimicrobial preservative. No formaldehyde donors. Compatible with most raw materials. Contains sorbic acid which offers protection for anti-fungal and anti-mold activity. Optiphen Plus can thin out some formulas-proper testing should be done. Formerly known as Germall Plus Liquid. Ashland Chemical is the manufacturer and owner of the trademark Germall Plus Liquid. We have received legal notice that small suppliers may no longer use the brand name of the product. Therefore on 11/20/2017 we have changed the product name as they have requested. Excellent broad spectrum antimicrobial preservative. No known inactivators. Compatible with virtually all cosmetic ingredients. Good for water based formulas including lotion, body butter, hair care products and scrubs. Not to be used in aerosols. Thick consistency. Preservative – Phenoxyethanol + CG, also known as Optiphen, is a broad-spectrum preservative for activity against mold, bacteria and yeast. It is effective between a pH of 4 - 8.